COMP Cams Xtreme Energy Mechanical Roller Camshaft Big Block Chevy 1965-96 Lift: .653"/.660"
COMP Cams 11-692-8 - Magnum Mechanical Roller Camshaft Chevy Big Block 396-454ci 1965-96 Lift: .623"/.623"
** Note: Requires thrust button & wear plate. Good in weekend warrior with 3000+ stall converter. Needs good intake and exhaust with low gears. Does COMP Cams 11-772-8 fit your vehicle? 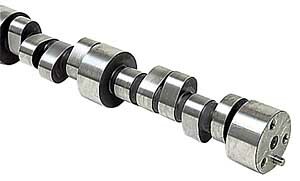 11-772-8 - Comp Cams 'Xtreme Energy' Mechanical Roller Camshafts is rated 5.0 out of 5 by 1. COMP Cams 749-16 - 10° Super Lock Steel Retainers Valve Spring Diameter: 1.500" to 1.550"
COMP Cams 939-16 - Dual Valve Springs I.D. of Outer Dia. : 1.125"